The Academy Awards are arguably the largest and most prestigious awards in Western Entertainment, but as we saw yesterday the Oscars aren’t always about which entertainment the audience actually loved best. Last month the Geek Mountain community voted on the Best entertainment of 2016. We’ve announced our own Best Movie of 2016 along with the Best Videogame of 2016 and now it’s finally time to close out the awards with the Best TV Series! While videogames are the least accessible category to our wider audience, TV and movies are available to everyone. Traditionally cinema has carried a much higher prestige than the smaller screen, but as we move into a golden age of television, with streaming services, big budget productions and shows crafted by Geeks for Geeks, this category has become more hotly contested than ever as we continue to be spoiled with some of the best long form visual entertainment in history. As with our Best Movie voting this year, write-in responses included multiple Honourable Mentions and Disappointments, so we’ve included a full Top 5 in each category. So what were the highest voted television shows of the year? A Netflix Original series, Luke Cage could be seen as the fourth series in the Defenders franchise, following Daredevil, Jessica Jones and Daredevil season 2, but as with Daredevil and Jessica Jones, the Luke Cage series has it’s own unique feel and flavour that sets it apart. Hailed by US audiences for depicting the streets of Harlem with a genuine cast of colour, Mike Coulter punched his way into the Top 5 with his leading performance. The benchmark of HBO programming and the standard bearer to showcase Geek productions as financially viable, the epic dark fantasy of George R.R. 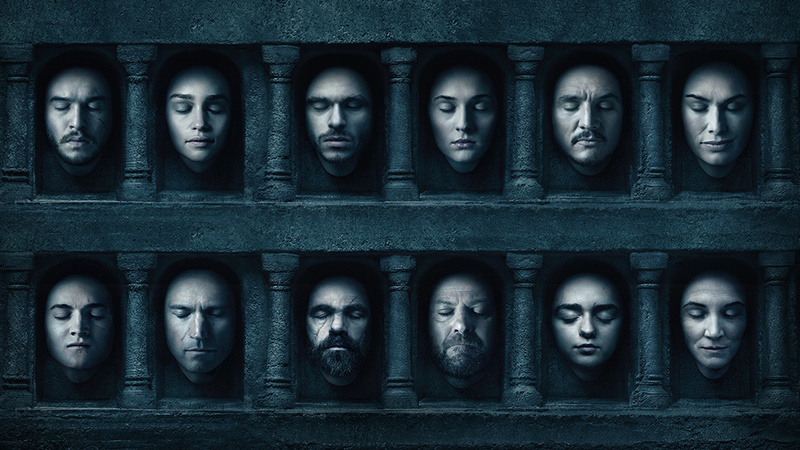 Martin’s Song of Ice and Fire books continued with a sixth season in 2016. 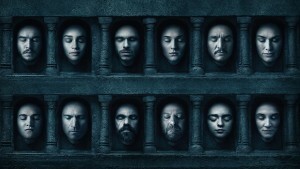 Having previously won the Geek Mountain Best of TV award multiple times and finishing runner-up to Marvel’s Jessica Jones in 2015, it’s worth noting that in it’s sixth season Game of Thrones still has us hooked, taking out 4th spot and missing out on the top prize by only a handful of votes. This is where the heartbreak kicks in. Over the course of a month of voting, the Best TV series of 2016 award came down to the deadline, with the Top 3 swapping and changing regularly in the last hours of the vote. 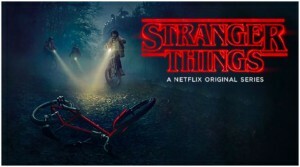 With barely a vote separating 1st from 3rd, there’s no doubt that the Duffer brothers’ Netflix Original series Stranger Things won the hearts and minds of the Geek Mountain audience with this phenomenal supernatural sci-fi thriller that brought 1980s small town America to our screens in the most entertaining, and at times horrifying, way possible. Another success story for Netflix productions, the second season of Daredevil brought the tightly paced and written superhero action of the first season and added The Punisher (as incredibly portrayed by Jon Bernthal), Elektra and the supernatural evil enemy of The Hand. While the first season of Daredevil finished 3rd in last years awards, Daredevil season 2 was in top spot until the final vote was counted, instead taking out a hard fought 2nd place. 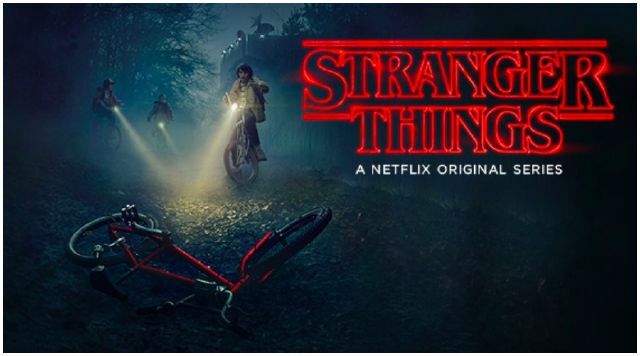 Returning HBO to the top spot ahead of Netflix, Westworld was every bit the breakout cultural phenomenon that Stranger Things was, with a first season that got audiences hooked around the world and a twisting chronology that asks more questions that it answers in the best possible way. Most surprising of all, the Westworld TV adaptation has managed so far to surpass the acclaim of Michael Crichton’s original 1973 movie. A genre mashup of science-fiction, western and philosophical thriller, Westworld takes the absurd premise of a Wild West amusement park with no rules and twists it into the most must-see television of the year and the Geek Mountain Best TV Series of 2016! 6. The Walking Dead AMC’s zombie-apocalypse benchmark show has shuffled back into fine form, with seasons 6 and 7 bringing TWD back into the Geek Mountain Top 10 after missing out in previous years. 7. Black Mirror Not for the faint hearted, Charlie Brooker’s Black Mirror found a wider audience for it’s dark look at society when it arrived on Netflix with season 3 this year. 8. House of Cards With such a tumultuous election campaign leading to the Trump presidency in the USA, it’s hardly surprising that the biting political drama offered by Netflix’s US House of Cards’ fourth season was so well received. 9. Unbreakable Kimmy Schmidt Season 1 of this Netflix original comedy didn’t quite make the Geek Mountain Top 10 in 2015, but with an equally hilarious second season, the Tina Fey/Robert Carlock creation is finally getting the recognition it deserves in a year dominated by dramas. 10. Narcos Rounding out the Top 10 for the year and making it 6/10 for Netflix Originals, season 2 of the biographical crime thriller built on the solid and violent foundation of the first season to firmly establish Pablo Escobar as a dominant force in television as well as narco-terrorism. 1. You’re the Worst A hilarious take on the sit-com romance, FX’s You’re the Worst won high praise from voters for it’s 3rd season in 2016. 2. Silicon Valley Season 3 of HBO’s Silicon Valley continues to rate highly as the stakes get higher and higher, but despite the changes in plot the sharp writing remains central to the show’s success. 3. Frequency A time-altering butterfly effect crime show with a ham radio as the central focus, Frequency has been a success for the CW as part of the 2016 resurgence of sci-fi television. 4. South Park With it’s 20th season in 2016, South Park doesn’t have the right to be funny anymore, but according to the write-in votes, it defies those expectations and still delivers. 5. Last Week Tonight with Jon Oliver Free of the nightly talk show constraints, HBO has brought out the best in Jon Oliver as his satirical news observations are consistently among the best comedy on television. 1. Big Bang Theory Enjoyed for the first season or two, Big Bang Theory has well and truly overstayed its welcome among the majority of Geek Mountain fans at 10 seasons and counting. Always voting highly in the Over-rated and Disappointment write-in categories, 2016 is no exception. 2. DC’s Legends of Tomorrow In this new age of excellent superhero shows, many of you expressed disappointment that DC’s Legends of Tomorrow had failed to live up to its potential. 3. The Walking Dead A few big episodes at the beginning and end of each season aren’t enough to save The Walking Dead for many of you. 4. Marvel’s Luke Cage Although most Geek Mountain fans voted Luke Cage all the way into the Top 5, multiple votes also thought the second half of the season slowed down too much, making this series a disappointment compared to Jessica Jones and Daredevil. 5. MacGyver Even Richard Dean Anderson hates this remake. Enough said. Did you favourite series not make the Top 10? Here’s the rest of the Top 30! So what do you think of the results? Join the discussion on social media, and take note of what you love and hate for the Geek Mountain Best of 2017 next year!